Brake System This is a required option. Non Disc - High TG Surface: Rim Brake 700C road rims use an advanced High TG resin system with a layer of graphene to help dissipate heat. The braking power and reliability is significantly improved over a basalt braking surface. 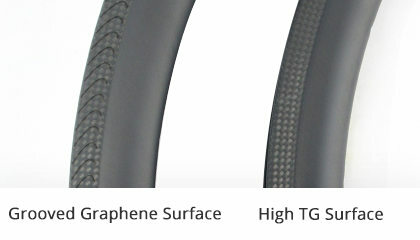 Non Disc - Grooved Graphene Surface: Our new resin system and construction method, combined with the 3k rim track, withstands over 280°C, dissipates heat, and lowers rim temperatures faster in between braking efforts. Gain confidence-inspiring brake performance on the steepest descents and wettest conditions with our matching brake pads. 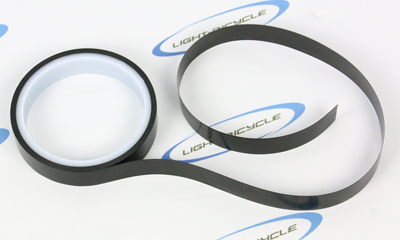 Also, graphene added to the rim brake track allows for greater resistance to overheating with improved heat dissipation and reduced temperature accumulation during heavy braking. 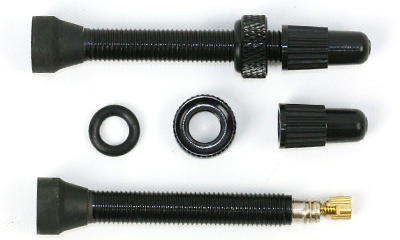 The grooved track helps evacuate trapped moisture between pad and rim in wet conditions, and brings more resistance and force at the lever when conditions are dry. Disc: The disc version does not have a rim brake track and features a unique disc specific layup process. Our new layup is about 10g ~30g lighter by reducing the unnecessary material and utilizing elements of our Flyweight construction method. 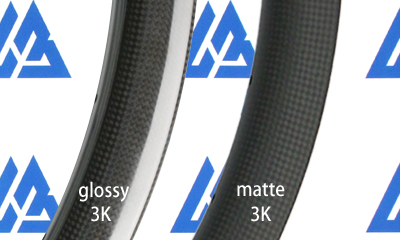 Road rims use super light waterslide decals (glossy black). The decal is very thin and applied under a clearcoat so they are non-removeable. 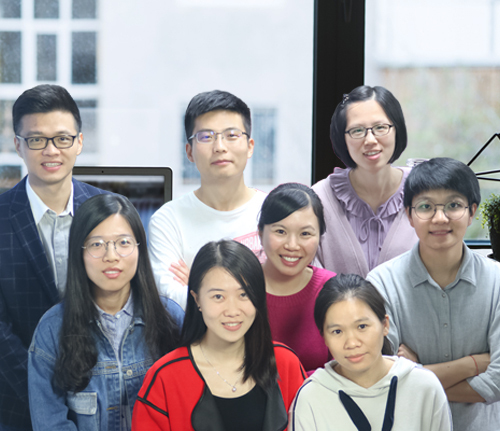 If you want custom graphic, Please email us, we will design for you. There will be extra cost for custom graphic on rims. 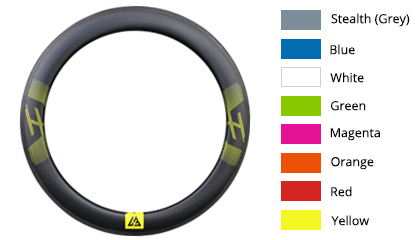 Road rims and flyweight rims use super light waterslide decals (glossy black). The decal is very thin and applied under a clearcoat so they are non-removeable. The 36mm deep rim is one of the newest members of our Road/Gravel lineup and the perfect partner for your next adventure. As more drop bar bikes become compatible with multiple wheels sizes, utilize these 650b rims with burly tires when the road gets rough. Running larger tires brings better bump compliance, greater flat protection, and more grip. With a hooked bead and an internal width of 22mm, the 36mm can run anything from the super low pressures for gravel, right up to high pressure when the ride turns to pavement. Tubeless ready: beadlock design making this light weight road rims better tubeless setup and better sealing. Aerodynamic profile: Improved aerodynamic design for a better crosswind protection. Wider: Idea for wider tyres, disc brake equipped road bikes, road races, gravel races and cyclocross. Flyweight layup: It is with Hybrid construction of Toray T-800 and T-700 lightweight gravel layup for weight saving. Hello, Is this price per set? Any reason they wouldn't work with stock Cannondale Slate 28H hubs? Hi, I have a Cannondale Slate and looking for a set of Carbon 650b gravel wheels built on DT Swiss hubs. How do I process this type of order? 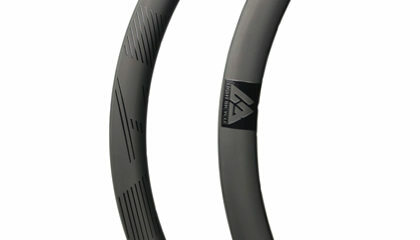 Hello, I am trying to decide which rim to use for a 650b bike that will see use on the road as well as on light trails. I weight 175lbs and I prefer to err on the side of durability. I plan to run 650b x 2.1" MTB tires (like the WTB Nano) at about 20-25 PSI, or 650b x 48cm road tires at about 35-40 PSI. I would like to run tubeless rims/tires. 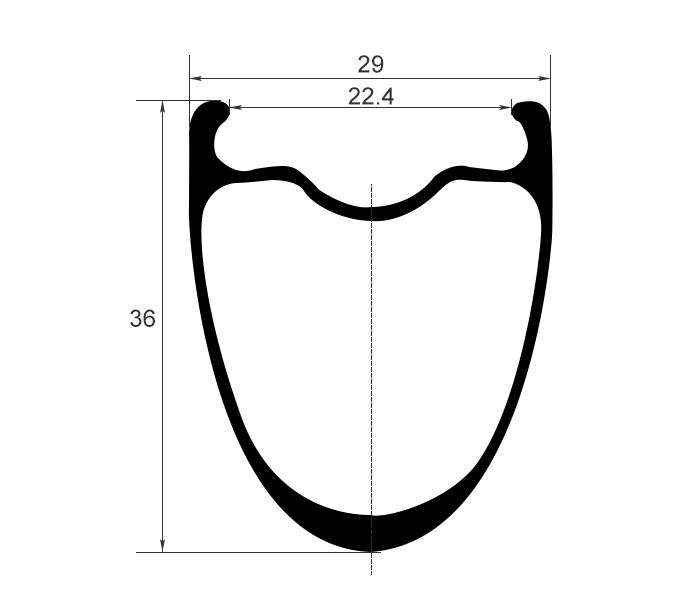 Also, I would like the rear rim to be drilled asymmetrically (offset 3mm ideally) while the front is symmetrical. 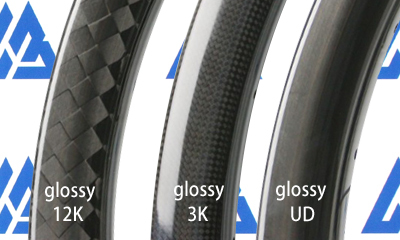 With that list of requests, which rim would you recommend? How about the AM724 as an alternate?